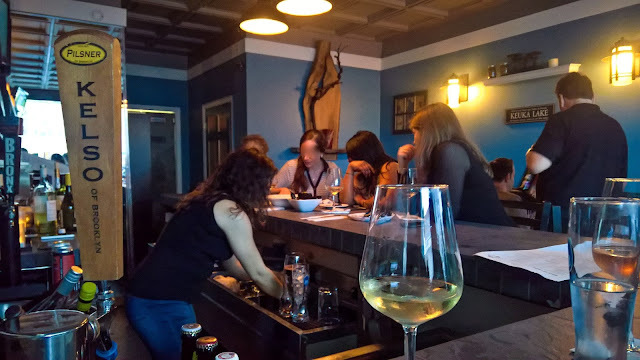 When I first reviewed Keuka Kafe, back in 2013, they had just opened up as the neighborhood's latest, and only, wine bar. 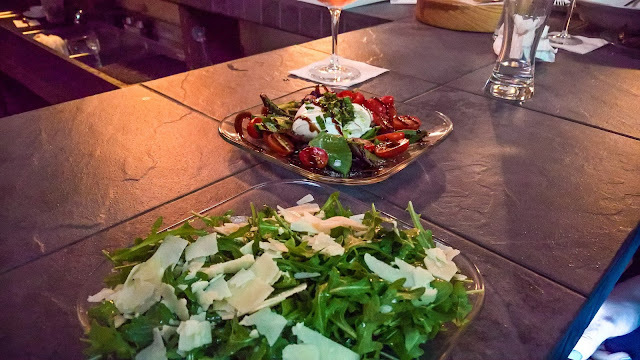 Danny Brown (now on the Upper East Side of Manhattan... no comment) and Jack & Nellie's had long since decided to eschew the wine bar schtick and go full-on restaurant, leaving quasi-snobs like me with basically no options to tipple in style. Following suit, Keuka has, too, become a restaurant, adding a whole menu with entrees and everything. That said, their size makes is a bit more acceptable to grab a table, order a cheese plate and a glass of something other than Chardonnay, and chill. Like I said, Keuka's small and seating is limited, though they do take reservations... but not on OpenTable yet. Occasionally, there's a wine tasting and they'll close for a few hours to do that (you can follow them online or get on their email list for that info). 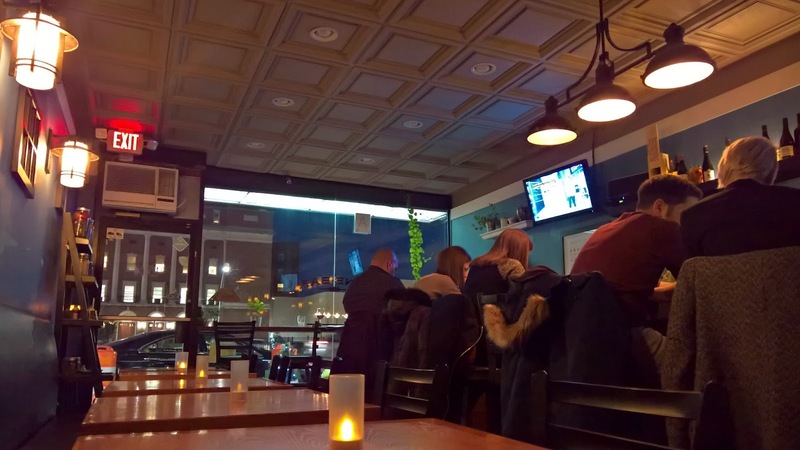 But more often than not, it's a place where simple yuppies can stroll in and grab a seat, and enjoy a nice bowl of mussels. Though perhaps not on a Friday. 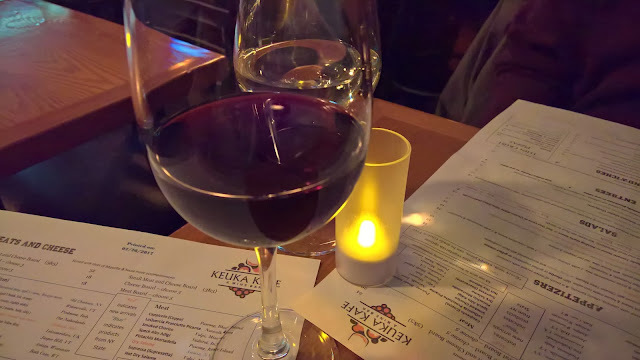 Initially, Keuka Kafe was all about New York State wine, hence the name referencing one of the Finger Lakes. Over the years however, they've dropped that focus. There's still a heavy New York State wine presence on the wine list, but it's no longer an exclusive thing. There's also a small selection of craft beer for your friends who aren't wine people. No cocktails. For my most recent couple of trips to Keuka, I've gone with either Lutsy or Bro. Lutsy and I both tend to start our meals with something light so on one such excursion, I ordered the Arugula Salad, which is a simple arugula salad with Parmesan shavings and a lemon vinaigrette. It's a thoroughly pleasant, thoroughly forgettable dish that I'd get again and recommend, because it made me feel healthy. Not everything has to win a James Beard award, after all. Lutsy ordered the Fresh Burrata, a mozzarella ball stuffed with ricotta surrounded by basil and cherry tomato and under a rich balsamic glaze. Actually, this was also a pretty light dish, despite it being cheese stuffed with more cheese. 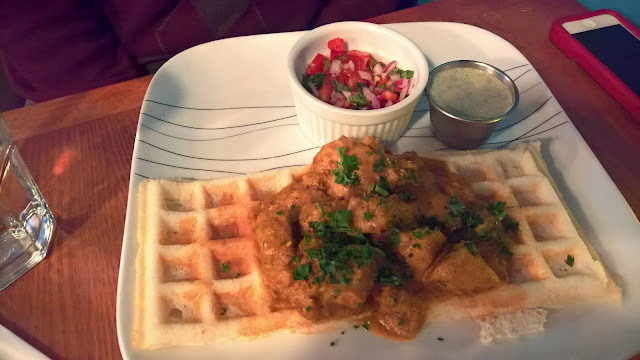 The most recent time that Bro came, he ordered the Richmond Hill Waffle, a gluten-free chick pea waffle covered in Chicken Tikka Masala. This is a skippable dish. The chicken tikka was fine without being better than fine and the waffle was tasteless unless it was under the sauce, whereupon it was soggy to the point of being like biting into a wet paper towel that had just been used to clean up spilled chicken tikka masala. Mussels are where Keuka really shines the brightest. They have a small variety - Spicy Garlic Tomato, Red Thai Curry, and Chorizo White Wine - and I've tried a all of them and all are recommended, though personally, the curry ones are the standout winner. The spicy ones are a bit spicy, I won't lie, so bring a tissue. Truth be told, I look forward to the Keuka Mussels the same way I look forward to the Dirty Pierre ones and I'm a near regular for Dirty Pierre's mussel night. 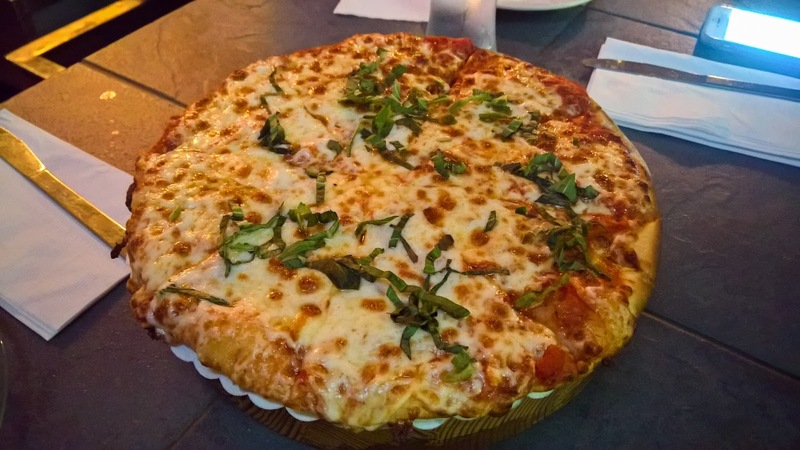 Keuka also does well on the Pizza front. While I wouldn't order one of their pies to take home to watch Simpsons reruns, there's something I thoroughly enjoy about slowly eating a small pizza with a glass of red. Pictured below is the simple Master & Margarita. Keuka also has a collection of sandwiches, many of which are named after local streets like the Ascan & Burns, the Jewel Avenue, and the Slocum Crescent. But I went with a more alliterative Fig 'n' Pig, a baguette sandwich with prosciutto, fig jam, brie cheese, and arugula. 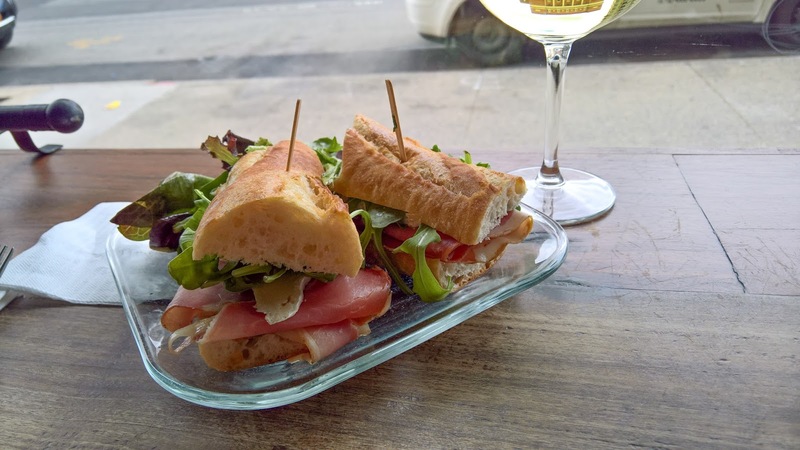 If there was ever a more wine bar appropriate sandwich (cheese, bread, charcuterie, figs!) I haven't found it. My thoughts on Keuka's expanded menu are generally positive, though I do think that there's room for edits and reductions. Or maybe they could do a separate menu for the meats and cheeses to keep the page from feeling so crowded. That said, I can't recommend the place enough. 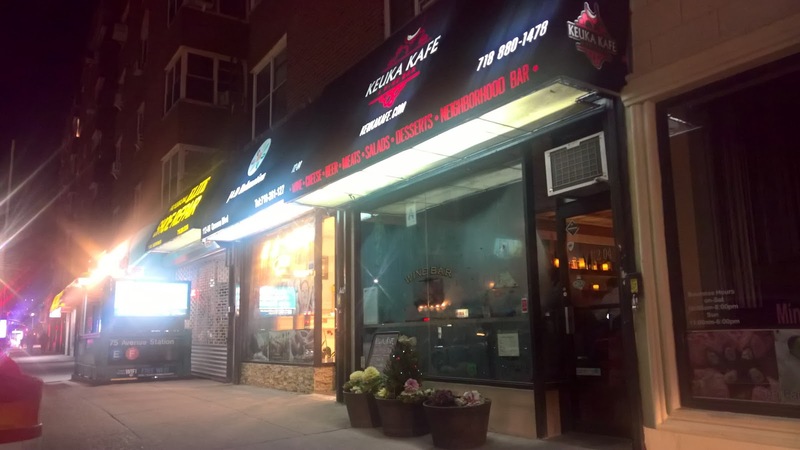 It's always pleasant, the music isn't loud and obnoxious, and the staff is super friendly. It's laid back, classy without being snobby, and not too hard on the wallet. Wine will run you an average of about $12 per glass and food will run you an average of $14 per non-entree, non cheese board dish.